Oil and natural gas runs abundant in Texas and the companies supporting, drilling and providing these natural resources have unique business requirements to maintain operations. 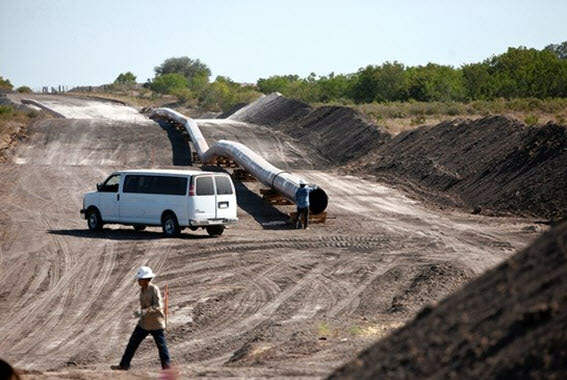 Drilling sites and pipeline construction sites are typically temporary or short-term projects. The need for mobility of office, work and even storage space is a common need for these companies. Our client Kinder Morgan came to us with the need for mobile offices and restroom facilities as well as the need for protected safe storage for construction equipment used in their pipeline construction projects. We presented our shipping container buildings as a possible solution to their needs. Taking our standard 40’ steel shipping containers and adding drywall, windows and bathroom facilities gave Kinder Morgan the mobile work space they needed for their remote location employees. The use of a shipping container with insulated floor and drywall gave the Kinder Morgan staff the ability to create shelving and hook storage inside for key items needed at their work site. Consider insulation installation when protecting your storage items as it will help maintain consistent indoor temperature. The addition of electrical and plumbing can allow for employee comfort and increased productivity. Mobile storage structures are ideal for industries where work site locations often vary. Consider the outdoor elements when considering your mobile location structure and check for stability and the structures’ wind and water-tightness.